Water Reclaim has a new name. The revolutionary new WashKube is now available at Morclean. The WashKube has been developed to satisfy the ever growing demand of a all-in-one, compact water capture and recycle system. Unlike most water reclaim units, the WashKube requires next to no installation, and is ready to go in a flash, compared to the digging of ground and other extreme installation practises. It simply connects to a 240V standard socket, and away you go! 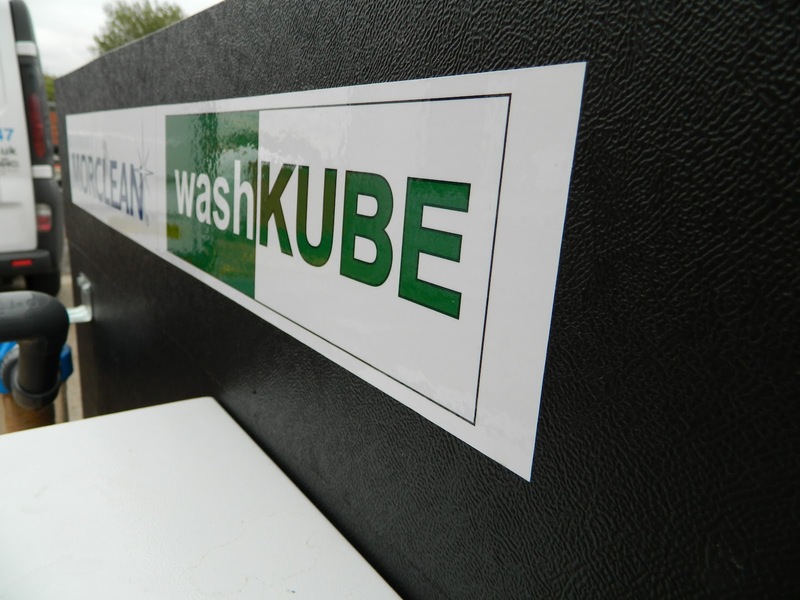 The WashKube is different to other water recycle units as they usually depend on a complicated method of recycling and filtration. For high quality results, a fixed system has to be installed, which cannot be moved around, and is often a lengthy (and pricey) process. Also, a recycle unit often takes up to much space so isn't always opted for on account of extra effort and costs, despite obviously being the more sustainable and eco friendly option. The WashKube is a comparatively tiny 1 cubic metre thanks to space-saving cyclone technology, and can easily be moved from site to site, with minimal installation. 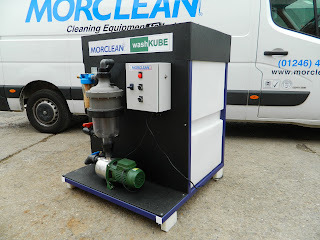 It can even be operated from a vehicle or trailer, and the WashKube is not dependant of interceptors or sumps. The water that the WashKube collects is then partially treated, and the re-use system allows the user to make savings on the amount of water you dispose of, as well as the amount of water you use in the first place. Ideal for the cleaning of vehicles, paving and hard surfaces, slab and blocks and cleaning bays. These would all usually need equipment able to contain and dispose of a huge mount of water, but the humble WashKube can do all this for you, with a lot less water. "But, how does it work?" I can hear you all ask. 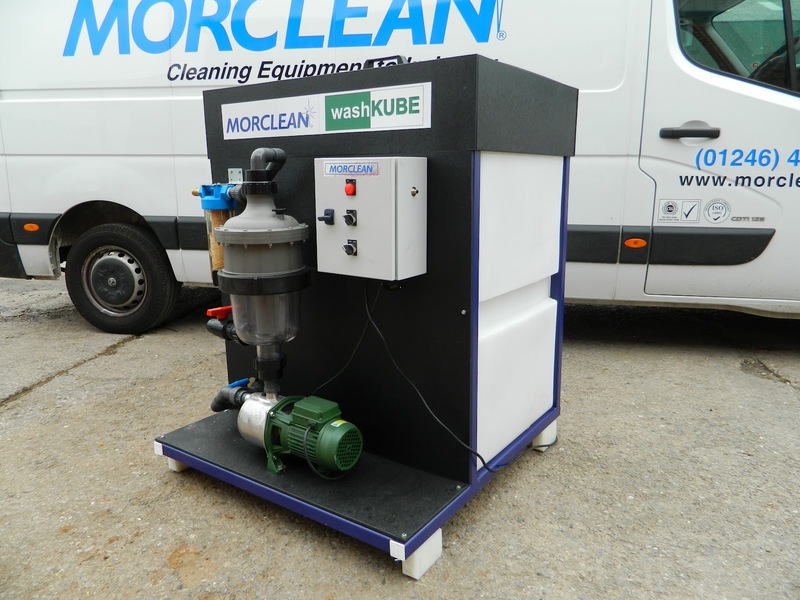 When the water is pumped into the WashKube, an initial pre-filter takes out any large debris of solids that may be present in the waste water. This water then falls into the holding tank via two more filters - through the cyclone (you can see on the picture) and secondary filters. 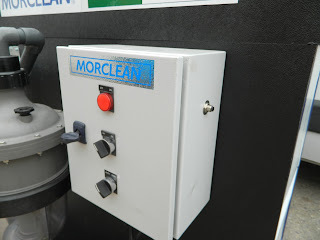 All in all, there are FIVE processes if filtration the water passes through before being pumped back round to the wash facility, ready to clean again. Clever, eh? If you would like more information on the fiercely independent WashKube, please email us at info@morclean.com or give us a tinkle on 0800 1300 402.